The most effective lightning protection on the market. 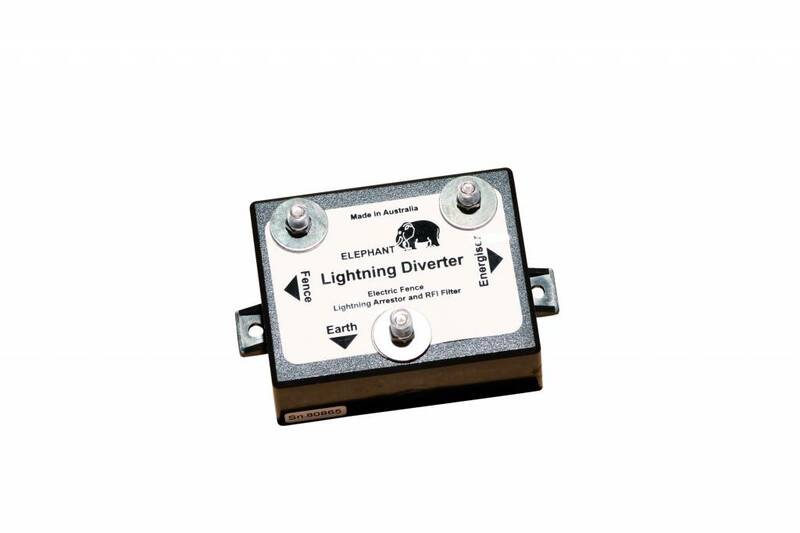 We recommend that you mount an electronic lightning diverter in order to protect building components and avoid your electric fence “burning out”. Quick and easy to mount. The most effective lightning protection on the market. We recommend that you mount an electronic lightning diverter in order to protect building components and avoid your electric fence “burning out”. Have you too seen your animals escaping from your enclosure because your electric fence has been destroyed by one of the many lightning strikes that we experience every year during thunderstorms? If so, you no doubt also found out that this is one of those experiences that you would rather avoid in future. An electric fence is often hit by both small and large lightning strikes. There are many factors that determine how often your fence may be struck by lightning. For your electric fence to work as effectively as possible, it is very important that you have a good earth connection, which is unfortunately also the major reason why your fence may be struck. Lightning always tries to find the quickest/easiest way to the best earth connection, where there is the least possible electrical resistance. The better you have set up your earth connection, the better your electric fence will operate, but also with the consequence that in principle there is also a greater chance that lightning will find its way to your electric fence sooner or later. Depending on how well your electric fence is designed, it should be able to withstand most lighting strikes, but not all. Just like the dikes by the North Sea, which can withstand extremely violent storms, but they will never be 100% safe against the force that nature can generate. Luckily nowadays there are plenty of excellent ways in which you can protect your electric fence against being destroyed by lightning strike. And lightning protectors are cheap to buy and quick and easy to install. The mechanical lightning protector is the cheapest, and is almost impossible for lightning to destroy. The mechanical lightning protector works by means of a powerful coil allowing the current from the electric fence to pass unhindered through it, so that it passes out into the enclosure, while a powerful lightning strike is delayed a tough by the coil’s inertia and is thus forced to bypass the earth connection and go straight into the ground, without entering the electric fence. 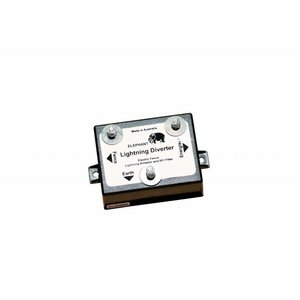 The protection level against lightning strike that the mechanical lightning protector gives to the electric fence is between 70-90%, and you can increase the level of protection against lightning striking the electric fence by installing several mechanical lightning protectors in your enclosure with a good earth connection. The electronic lighting protector is just as quick and easy to install as the mechanical option. It costs a little bit more to buy, but it provides almost 100% protection. The design of the electronic lightning protector means that if it is struck by lightning of a given force, it sacrifices itself and thus protects the electric fence from being destroyed.